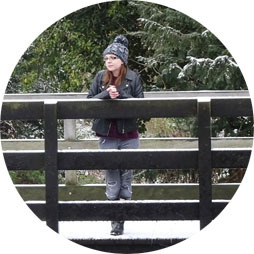 I have a selection of products that I put to one side when I get things and I dip into it now and again to test out something new. 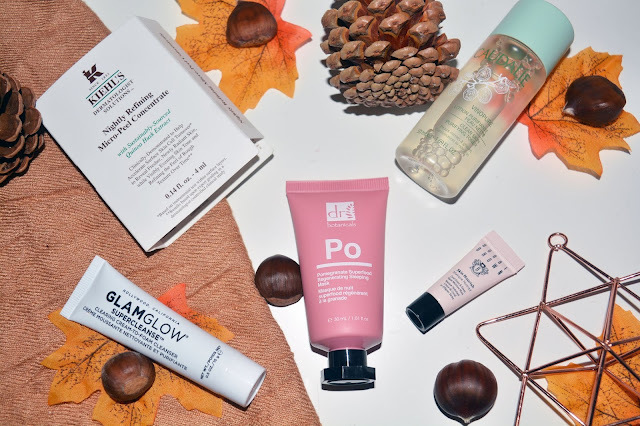 I have pulled out five things I want to test out and try from my skincare draw and I am going to share some reviews with you in this post! I find that skin care takes a good while to use up when you get a big full size one and sometimes that means I forget to pop into my samples and try new things, but I aim to be better from here on out! 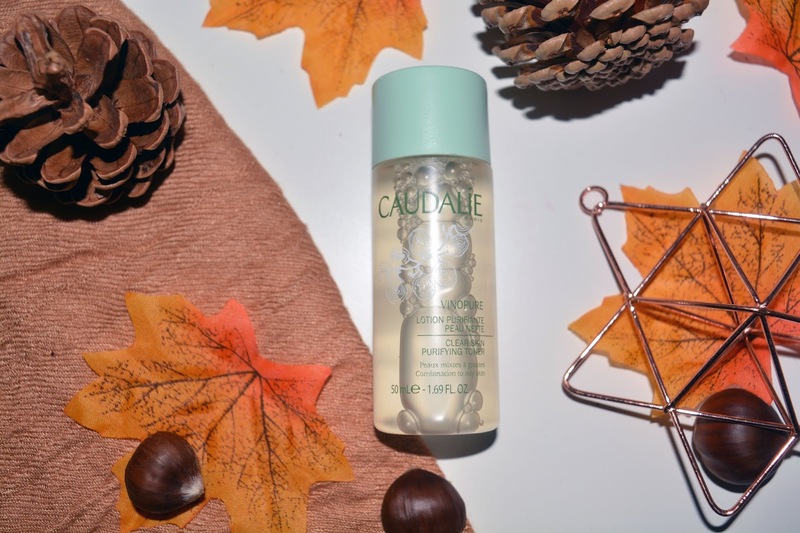 The first product I have been testing is the Caudalie clear skin purifying toner. I am excited to give this a proper test as I had the Caudalie beauty elixir spray that was hyped a little while ago and I really liked it, so I am hoping this is a similar product, but in a regular toner form. The bottle is clear with a green lid and looks really simplistic. The product has a slightly botanical scent to it and is a light but pleasant fragrance. The product is a really nice formula, it is almost like water in feeling and is lovely to sweep across the skin on a cotton pad. I have used this for a couple of weeks to test this and prep for this post and while I can never quite tell how well my skin is doing with a toner, I can say that my skin seems to like it. I do like this and I am so glad to have tried it out as I am pleased with how it left my skin, I do have a lot of skin care products so while I wont be repurchasing this yet, it is a nice one to look for in the future. 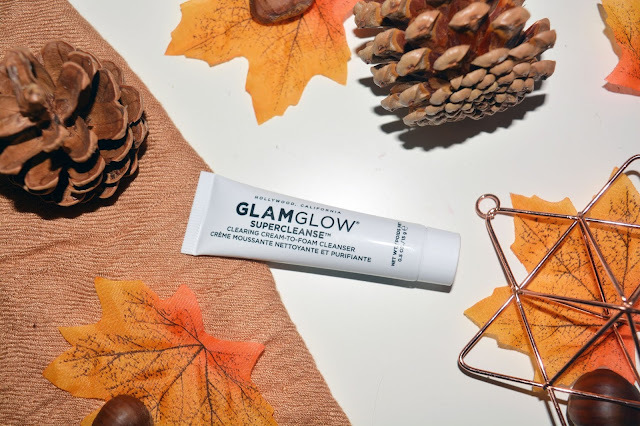 Next I have the Glam glow super cleanse cream to foam cleanser. I have tried a Glam glow mask in the past and I really liked it, so I was excited to test out the face wash and see how I get on with it compared to the masks. The mask is a grey cream texture when you squeeze it out, you then add water and rub your hands together to lather the product and create a foam. I think this smells like a cross between liquorice and charcoal, but I can't be sure what it is intended to smell like, it isn't the worst but it isn't my favourite scent. It lathers nicely and leaves my skin feeling soft and smooth. I think that it is a nice face wash, but I don't think it is any more special than some of the others I have used, and just because I am not keen on the scent, I would buy a cheaper option I like just as much. I do think this is worth trying out and I would purchase it or use it again if the option arose, but I wont be going out my way to get this again. 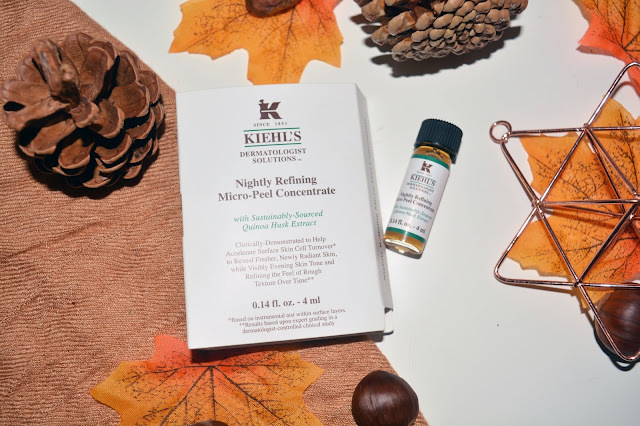 A product that is quite different to anything else I have tried before is the Kiehl's nightly refining micro peel concentrate. This is new to me, and I am not sure how I feel about the concept before trying it. I have to be honest this went into my 'to try later' drawer because I felt a bit uneasy about the 'micro peel' sound of it! I have been using this for a little while now and I have been applying it at night to see how I am finding it, and to be honest with you all I haven't really seen a drastic change in my skin. I feel like it was already in pretty decent condition, but I don't really no if I have seen much improvement to tell you its worth trying, but I will keep going with it and see how I get on to give you a better up date when it is empty. The last two I have are masks, the first one is a skin nourish mask from Bobbi Brown. I love a hydrating mask and I like the idea that you put this on and massage it in and wait for it to sink in rather than taking it off. I like these before bed so they can work overnight, and I was excited to give it a go. This is a really cute sample size and is only 3ml, so i knew I wouldn't get many uses from it, however, I did manage to get 4 uses from the mask which I think is great as it recommends to use it 2-3 times a week. I like the formula of this, and feel like a little bit goes a long way on the skin. I found that this product left what felt like a film on the skin when first applied, but it is more of a slightly sticky mask like texture that sinks in and goes away after about five minutes. I feel like this is formulated to be more of a mask than an extra hydrating moisturiser, if you no what I mean. It does sink in nicely and work well over night to boost my skin's hydration, however, I do feel like the formula isn't my favourite. I do think because of the formula compared with some of the other overnights masks I have used this is one that I won't repurchase, especially knowing it will have a higher price tag due to the branding, but I did enjoy trying it out and seeing how it worked. Lastly for the five products I have a second mask, this one is by Dr Botanicals, and is the pomegranate super food regenerating sleeping mask. I like the idea that this is also a mask you put on and leave on to work. 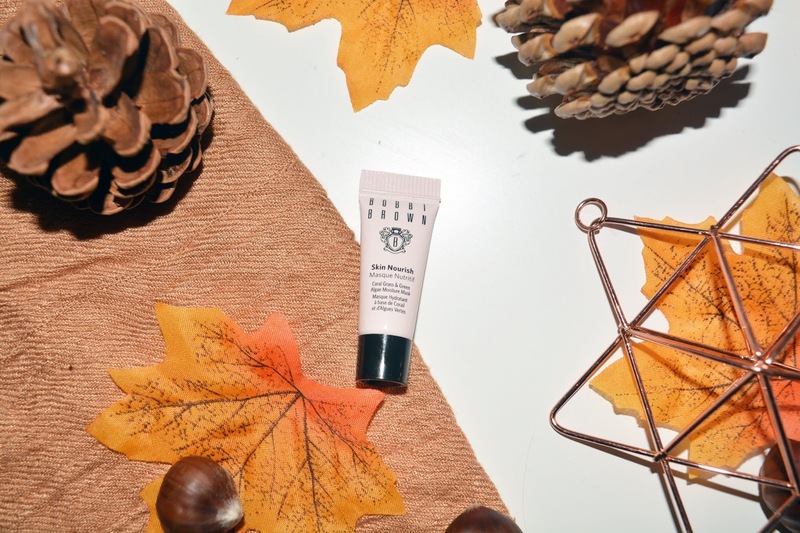 I thought I could justify testing both this and the Bobbi Brown mask as I knew I would probably only get a few uses from the Bobbi brown one with it being so small, so I figured over the testing period I would run out of that one quickly and want to test a similar one alongside it. After cleansing and toning my face I reached for this product to boost the hydration of my skin and keep it soft and smooth as we get into the winter weather when my skin usually gets dry. I found this was really easy to apply to my skin, and was a light, but hydrating formula that sinks in so quickly and easily that it becomes almost undetectable on the skin after a few minutes. I like the way this worked on my skin and I found myself reaching for this every other evening to keep my skin looking and feeling nice.